The latest 5th generation of 3-series BMW isn’t some newbie on the market. Bu before talking about this generation, we take a look into the history and show what was here before the current generation. Everything started thanks to the first model BMW E21. Then BMW E30 appeared and it’s still popular, especially among young and drift beginners because of its 2.5 liter 6-cylinder aggregate producing 170hp. Next favorite engine can be found behind the 318is badge. It’s a 1.8 liter 4-cylinder aggregate producing impressive 140hp and it’s lighter than V6s too. So its power/weight ratio is amazing and that means great maneuverability and fast drive. And there’s some rare model – the really first M model – BMW E30 M3. 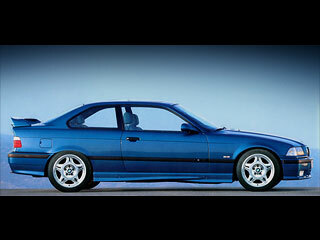 BMW E30 series was replaced with new BMW E36 models in 1992. Rounded headlamps from E21s and E30s were changed for elongated square ones. It became bigger too. The most powerful aggregates of this generation are 2.5 and 2.8 liter V6 (both producing 192hp) and 2.5 TDS diesel engine which wasn’t very impressive. Maybe that’s why BMW sold this engine to Opel...marketing tricks :-) The BMW E36 model was produces in many version like the previous E30 – 4-door saloon, coupe, convertible, touring and shorter version of coupe called „compact“. 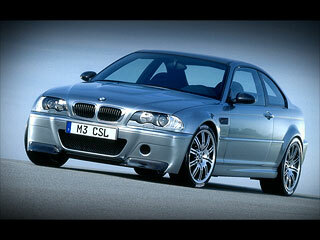 Finally in 1998, first BMW E46 models has appeared and replaced old E36s. Beautiful oval curves were nice change compared to the previous models. Also this generation offers many engines and fortunately also good diesel version like 136hp from 2.0 liter turbo diesel. Demanding customers would like its bigger brother with three liters of displacement and 184hp. Of course petrol power plants were elaborated too, but we can find also older versions. Like the 2.5 V6 engine with Vanos technology offering 192hp. Also 221hp from a 3.0 liter V6 appeared. The most powerful M version has a 3.2 liter engine under the hood and 343hp are transferred to the rear axle. 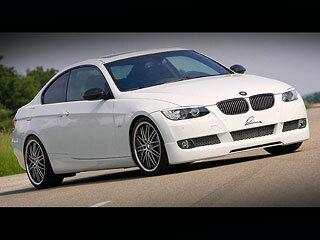 And now we can move to the latest generation BMW E92 introduced in Geneva in the year 2005. Yes, it’s more than 2 years. Maybe its modern shapes weren’t pleasant for those used to beautiful E46, but now almost everyone likes these modern, stylish shapes of bodykit available as a saloon, touring, coupe and convertible. Majority of engines available in this generation came from the E46 models, but with some modifications of course. There are new 3.5 liter 6-cylinders – one petrol and one diesel aggregate. The most interesting engine is the petrol version that isn’t naturally aspirated but it has not only one, but two turbochargers! BMW car manufacturer used a turbocharger in the model 2002 which was something like a predecessor of the series. And why the engine needs two turbos? This answer is very simple for those who know something about turbo technology. The big one serves big output, in this case there are 306hp (242kW). But big turbos has one big disadvantage – a turbo lag. A turbocharger needs some time and high revs to work efficiently. So there’s a smaller turbo to patch this lag till there are necessary revs. It works from low revolutions and it’s a great solution of this problem. This engine allows reaching 100kmph in 5.5 seconds and top speed is 250kmph. Bavarian engineers have achieved another important goal – fuel economy under 10 liters per 100km. This car needs only 9.5 liters per 100kmh combined. This generation has really some nice mojo and the coupe version proves this definitely. It’s internally called E92 and it’s clear that tuners will love it. One of these tuners is Lumma Tuning, a famous tuning company doing elegant and quality bodykits for various brands and models. Lumma Tuning brings some aggressive look thanks to used eyebrows. Traditional chromed mask was replaced with a carbon model and exterior mirrors are made of same material. More attention is focused on the front bumper. It has a decent spoiler that fits perfectly with rest of the car. Also the rear part has a new decent spoiler. H&R springs secure better stability on the road and the car is closer to the ground – 50mm in front and 25mm at the back. This fancy car includes Lumma Racing 8,5x19 light-alloy rims with 235/35 R19 Toyo tires. Finally, all BMW logos and badges were removed and now everyone is sure that Lumma Tuning did a great work on this car. The car that is beautiful in the stock, but Lumma and its experience made no mistake on its design. 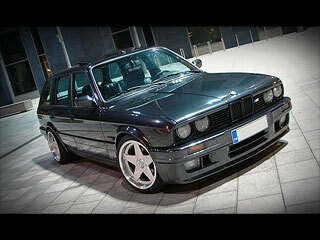 What is your opinion about the Lummas modification of BMW 3 series?